for $155,000 with 1 bedroom and 1 full bath. This 1,086 square foot apartment was built in 1978 on a lot size of 246.00 Sqft. Upper Story Piece of Paradise with Magnificent Views of Hillcrest Golf Course, Lakes, and Mountains. A Window was Added @ Dining Room plus Bedroom to Fully Feel the Tranquil Views not only from the Quaint Balcony, but also from All Rooms inside. Also included is a one Car Carport and Storage Building that will hold your Golf Cart. This unit has been Very Well Cared For by the same Owner for over 15 Years. Laundry Closet is Inside and the Washer and Dryer are Included. All Appliances Convey. If Buyer Desires, Most Furnishings will Convey. 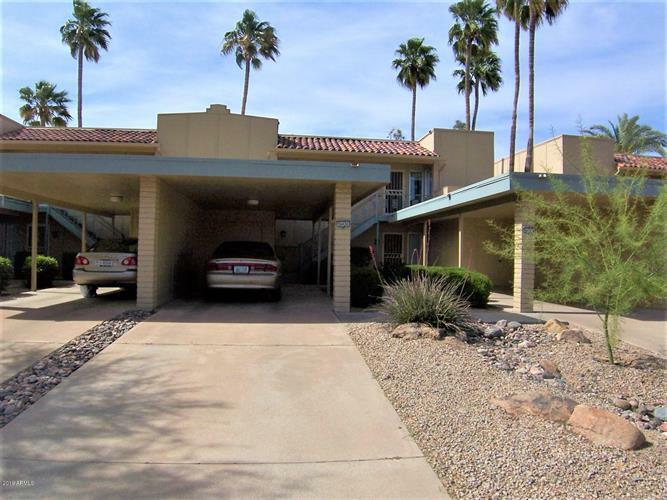 Very Conveniently Located in the Heart of Sun City West Near Groceries, Hospitals, Rec Centers, Pools, Shopping, Restaurants. Rentals and Pets are Allowed.